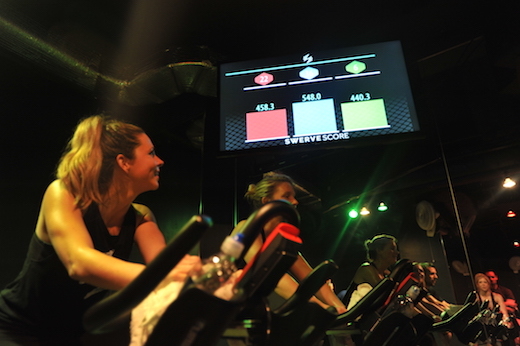 At SWERVE, indoor cycling meets team competition. Whether you come alone or with friends, the team dynamic keeps you motivated, supported, and accountable, without ever singling you out. 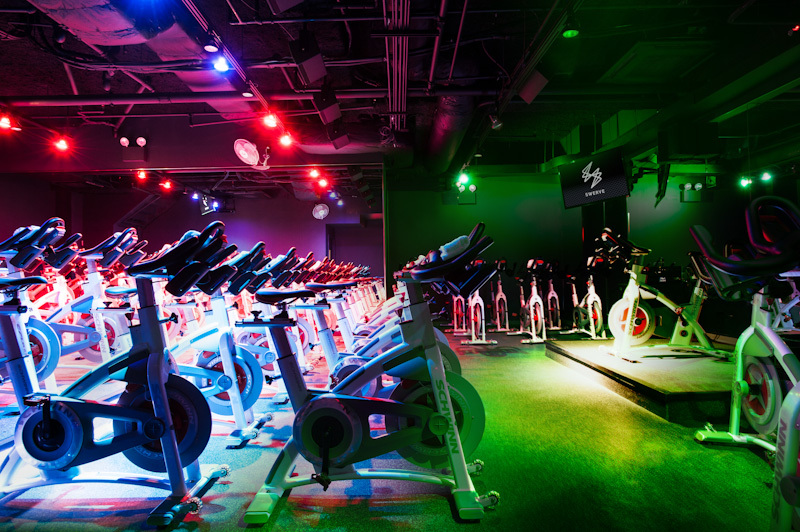 Class is a 45-minute rhythm ride and the bikes are arranged into three teams (Red, Green, and Blue), so when you get on your bike, you'll meet your teammates. 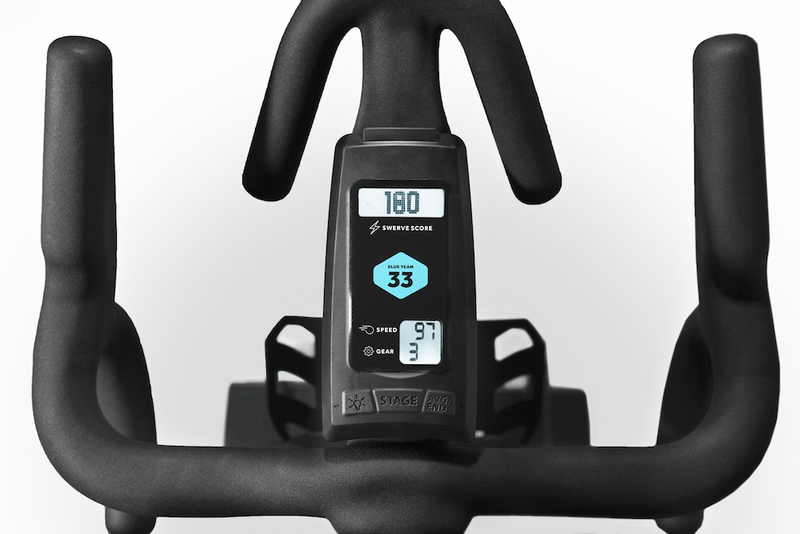 Tracking your bike’s metrics during the ride shows you how hard you're pushing yourself and how much you’ve improved since your last ride, allowing you to set and achieve concrete goals. While only you can see your personal metrics, the teams' overall scores are shown on TVs in the room. 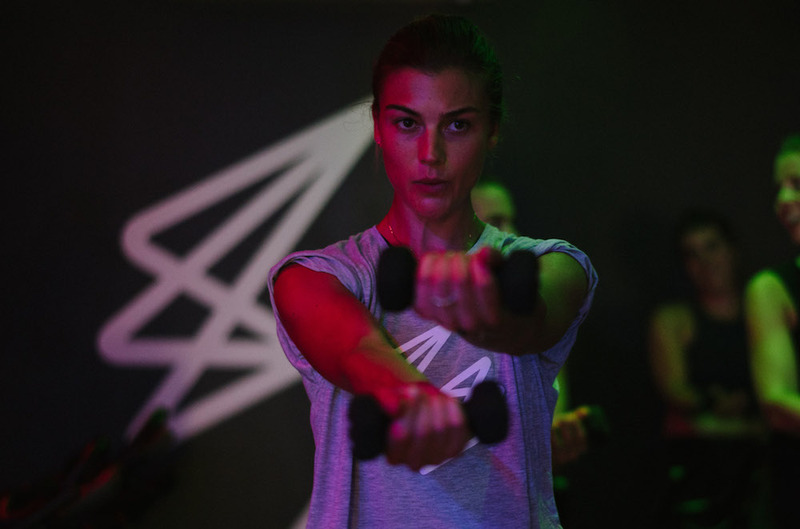 Our high intensity interval traning (HIIT) workout includes sprints, hills, and upper body exercises for an incredible full-body workout that's designed for all levels. As your team’s average SWERVE Score builds throughout class, the scoreboards show you how your team compares to the competition, giving you the extra motivation to take it up a notch. 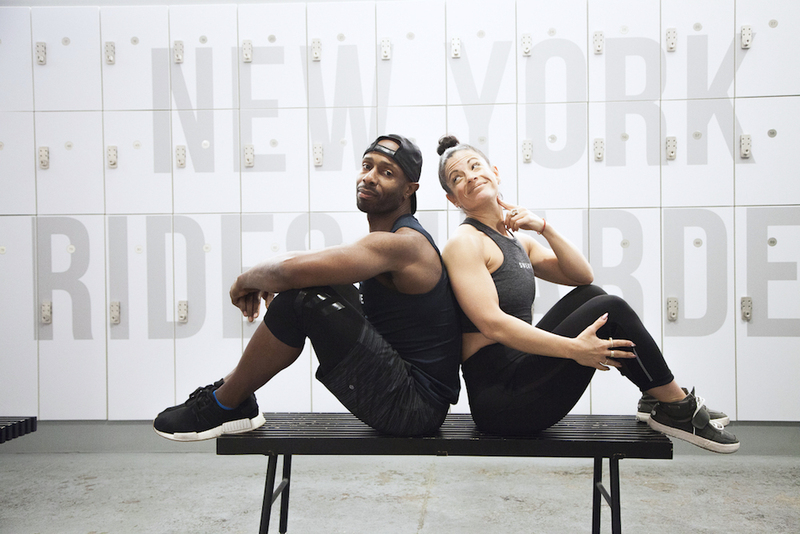 When you work for your team, you work harder. And when you work harder, you see results. Ready to get your SWERVE on?